Above is a sneak peek at an X-Men commission I've been working on (for way too long) for a good man by the name of Simon. Finally getting around to working on it again, so I'll have a finished, inked piece to upload on here soon. 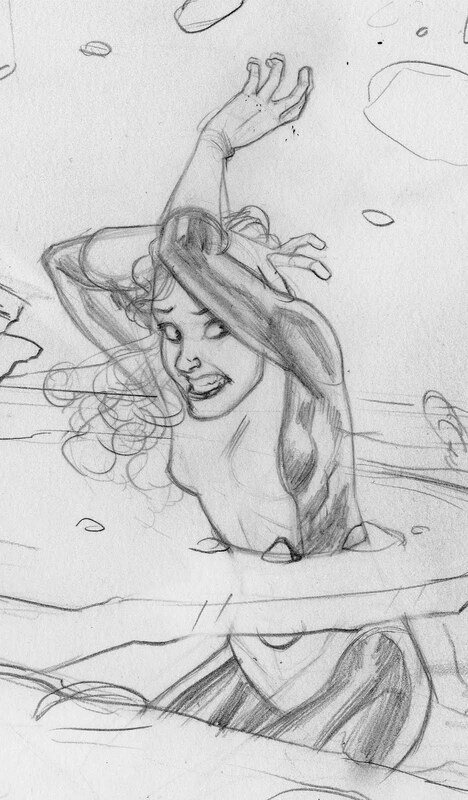 For now, enjoy this detail of Kitty Pryde escaping from... something.